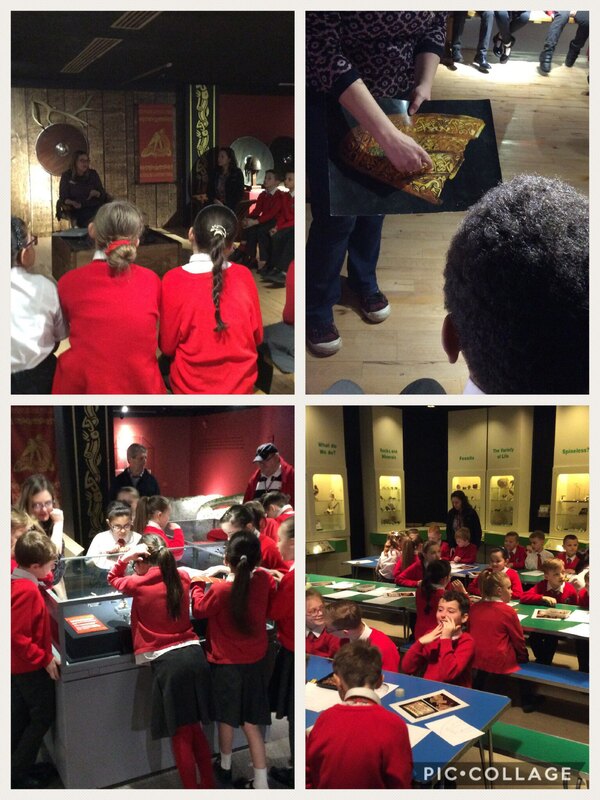 Mr Hunt’s class had a lovely morning visiting the wonderful Potteries museum in Hanley. The children listened carefully to our expert Lisa, who told us all about the history of the Staffordshire hoard. She showed us magnified photographs to see the detail of pieces, we held replica pieces and then got to look at pieces of the Staffordshire hoard itself, up close! We then went to design our own Saxon helmets using repeated patterns inspired by the Hoard itself. This entry was posted in Year 4 and tagged History, Visits on March 12, 2018 by Sandford Hill. What an amazing experience, to be able to get up close to The Staffordshire Hoard. Who knows, maybe in the future, some of our Year 4 children may be inspired now to become archaeologists. I didn’t like it I loved it, it was the best and I also learnt a lot!